Below you will find our picks and reviews for the best 11-inch, 12-inch, or 13-inch tablets including models with Android, Windows 10, and iOS operating systems. At the bottom of this article you will also find a spec comparison chart so you can easily compare each tablet versus each other. The largest tablets available today feature screens that are up to 13 inches and could truly be considered laptop replacements. Many are considered 2-in-1’s, in that they combine a tablet with a physical keyboard. Not just for the usual web browsing, games, and apps, these versions are great for getting work done and also provide an amazing visual experience compared to smaller displays. 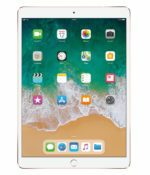 Some of the disadvantages compared to the smallest models with 7 and 8-inch screens and those between 9 to 10 inches include: less portable, heavier to hold, and much more expensive. Prices for these super-sized tablets range from about $125 up to over $1200. Buyers should note that the prices we list are for the cheapest option of that model available – you will have to pay more for things like more storage or cellular 4G data. These versions tend to cost more and be geared more towards actual office work, although anyone can still use them around the home like a smaller one. One spec you might really look for is pixels per inch, or PPI, which tells how good your display will look – the higher the better. With the new iPad Pro 12.9 Apple created a large tablet that can truly replace top-tier laptops and is our pick for the best 13-inch tablet. Starting from $999.99 this iPad is very expensive, but with the A12X processor it can tackle even the most difficult tasks like editing 4K video. The screen is beautiful, it weighs just 1.39 lbs, and the battery will last over 11 hours on average with some tests giving it over 13 hours of life. The Apple iPad Pro 12.9 is truly a remarkable device. At this price it is useful for creative professionals, however it is really expensive for the average user. The Apple iPad Pro 11 has the same internal components as the iPad Pro 12.9, but has an 11-inch screen and even longer battery life. Starting at $799.99 and up, the Apple iPad Pro 11 is our pick for the best 11-inch tablet. At just over 1 pound and .23 inches thick this device is light and thin for its size, all while giving you performance on par or better than most laptops. The main problem with both new iPad Pros is that the operating system just wasn’t designed for professional level of use with its lack of mainstream pro applications and poor handling of peripherals and multi-application workflows. So you end up paying a lot, but still might not be able to use it the way you want to. 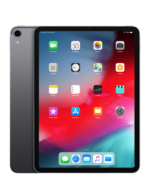 The Apple iPad Pro 10.5 has been replaced by the Apple iPad Pro 11, but it still ranks as a top tier tablet and now it is a bit more affordable with a price starting at $649.99. The performance overall is really good – just a bit below the new 2018 iPad Pros, but above the iPad 9.7. 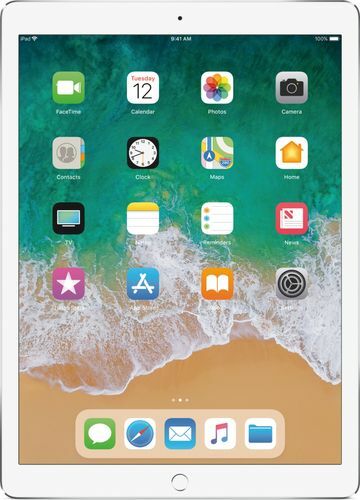 Buyers can save around $300 if you choose to go with the 9.7-inch iPad instead, without sacrificing too much size or performance. However, one big difference is the cameras. This model has vastly superior cameras and has a USB 3.0 Type C port which might be more preferred. The title of best Windows 10 tablet and the best 12-inch tablet belong to the Microsoft Surface Pro 6. This 2-in-1 convertible starts at $899 and has your choice of a speedy i5 or i7 8th generation Intel processor. Battery life has been increased from previous iterations of the Surface Pro with the Surface Pro 6 getting about 12 hours of mixed use. It sports a brilliant 12.3-inch display with 267 ppi. If you are looking for a Windows 10 tablet then the Microsoft Surface Pro 6 is perfect for you, although there are now some cheaper alternatives. Buyers should also beware that the keyboard is sold separately. Huawei’s new tablet is a worthy competitor to the iPad. In fact, we think the Huawei MediaPad M5 Pro 10.8 is the best 11-inch Android tablet. With a price starting at $449.99 it is cheaper then similarly sized iPads. The Pro version of the MediaPad M5 comes with a keyboard and stylus pen. It has a great 10.8-inch IPS screen with a resolution of 2,560 x 1,600 and 280 ppi. The quad speakers sound great as well, although they are not very bassy. If you watch a lot of videos on your tablet then this Huawei model is perfect for you. However, there is one major flaw. You cannot use both Wi-Fi and Bluetooth at the same time effectively. This means you can’t use Bluetooth headphones while streaming anything thru Wi-Fi. This slate also doesn’t have a headphone jack, however it does come with a USB-C to 3.5mm adapter you can use to plug in wired headphones. Some people have called the Samsung Galaxy Tab S4 10.5 the best Android tablet on the market. 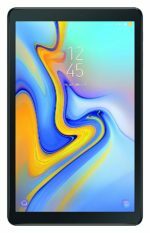 The Galaxy Tab S4 has the specs and performance to back that up, but with a price starting at $647.99 you will have to pay extra for it. The 10.5-inch Super AMOLED screen has 265 ppi and is one of the brightest and most vivid available. It also has loud speakers, great stylus, and Samsung’s DeX integration brings a more desktop-like experience. However, you have to purchase the keyboard separately. The battery life also was a bit disappointing at around 9 hours of use on average. While the Samsung Galaxy Tab S4 10.5 is a great tablet, we think the Huawei MediaPad M5 is a much better value. At $359.99, the Huawei MediaPad M5 10.8 provides an amazing value in terms of an 11-inch tablet with top-tier specs. The main difference between the Huawei MediaPad M5 10.8 and the Pro is the lack of the M pen stylus and keyboard dock. The M5 Pro also has a bit better processor. So if you don’t need a keyboard or stylus pen then we recommend buying this standard version instead to save you some money. The Samsung Galaxy Book 12, available starting at $1139, is Samsung’s Windows 10 2-in-1 convertible. It has a brilliant and sharp 2160 x 1440 Super AMOLED screen. The keyboard cover and S Pen are also included. However, at that starting price we think the standard specs of just 4 GB of RAM and 128 GB of storage are too small. The battery life also was not that great at about 8.5 hours on average. For that price you ought to get more. By no means is the Samsung Galaxy Book 12 a bad tablet / 2-in-1, but we think there are better value buys available like the Surface Pro 6. The cheapest large display Android tablet on our list is the $327.99 Samsung Galaxy Tab A 10.5. Besides the price the highlight of this Samsung device is the long battery life of of over 15 hours on average. Unfortunately to get the cheap price and long battery life, the specs and screen are a bit lacking. The screen is a 10.5-inch, 1920 x 1200 pixels with 216 ppi. 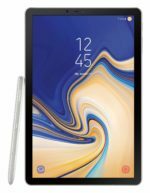 The bottom line is that if you are searching for a large Android tablet and want long battery life then the Samsung Galaxy Tab A 10.5 is for you. However, you could consider the Huawei MediaPad M5 for just a bit more money and get a better screen and better performance, although with less battery life. Starting at $549 the Acer Switch Alpha 12 is a 2-in-1 device that offers a 12-inch display and is available with different processor choices including i3, i5, or i7 Intel processors. Overall this Windows 10 device has good performance and a solid design with a good detachable keyboard. The display is good, but not quite as vivid as some others in this category. The biggest weakness of the Acer Switch Alpha 12 is the battery life of just over 6 hours on average. This is better than some laptops, but pretty poor when compared to tablets. Overall if you are looking for a Windows 10 2-in-1 that is more affordable then you should consider the Acer Switch Alpha 12. Compare Tablets ranging in size from 10.5-inches to 13.4-inches. * Average Battery Life is determined by averaging numerous real-world battery life tests conducted by different websites and/or organizations.